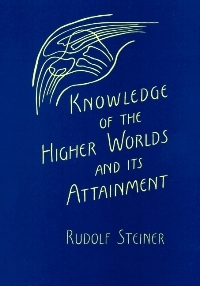 In the Epilogue to "Knowledge of the Higher Worlds" Rudolf Steiner presents and discusses several misunderstandings regarding the book "Knowledge of the Higher Worlds," including clarifications regarding the active engagement versus the passive engagement with a spiritual thought life. When studying and working with the study material presented in the Epilogue we should try to discuss the main themes that we have worked on up to now. Upon close examination of the text in the epilogue we might feel that Steiner is really not just responding to criticism from his contemporaries, but that he is addressing us and our modern time as well. Most likely there will be students who have made or encountered the more mediumistic (or atavistic) clairvoyance or if this is not the case, examples could be found from contemporary literature or movies. The reflections and discussion should center on describing observations rather than conclusions – it might even be helpful to appoint a friend as a referee who has the task to comment when students stray from the path of describing observations objectively. One should avoid passing judgment concerning the observations and descriptions of different forms of clairvoyance. The goal should be to clearly identify the main difference of the spiritual scientific approach (as presented by Steiner) and other approaches. Steiner’s emphasis is to some extend simple and straightforward: The deciding factor is always the following. Given a person has a clairvoyant experience, the question is whether at the same time the “clear thinking”, our critical daytime consciousness, our ego presence is being maintained or not maintained. This is always the deciding factor. In discussing and reflecting on this we should try to stay free from “putting down” the mediumistic clairvoyance, but rather direct our awareness to the fact that there are differences. 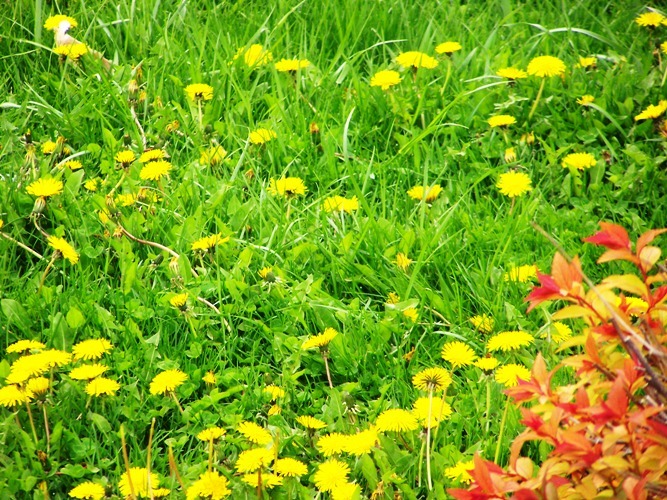 It is not a “good versus bad” situation, but rather a comparing without jumping to conclusions or premature judgments. In all work with spiritual content and spiritual approaches it is good to be able to withhold judgment which does not mean to become naïve and lack critical thinking, but rather having awareness of our limits of knowing. Tasks and Assignments for Lesson FS 1.14. For lesson 1.14. please study the "Epilogue" of "Knowledge of the Higher Worlds" by Rudolf Steiner. After studying the epilogue, please turn to and work with the questions and tasks given below. 1. Comment on the observations in the Epilogue, especially on the comments regarding "authentic cognitive striving" versus "passive visionary dreams." 2. Do you feel that other subjects or explanations should be given in the epilogue. Which would they be and why? The path to supersensible knowledge, as described in this book, leads the soul through experiences concerning the nature of which it is especially important to avoid all illusions and misconceptions. Yet it is but natural that the latter should arise in such questions as are here considered. In this connection one of the most serious mistakes occurs when the whole range of inner experience dealt with in true spiritual science is distorted into appearing in the same category as superstition, visionary dreaming, mediumship (spiritism), and other degenerate practices. This distortion is often due to the fact that persons desirous of following the path described in this book are confused with others who in their search for supersensible reality, and as a result of methods foreign to genuine striving for knowledge, wander into undesirable paths. The experiences through which the human soul lives on the path here described are wholly confined to the realm of psycho-spiritual experience. They are only possible if equal freedom and independence from the bodily life are attained for certain other inner experiences, as is the case during ordinary consciousness, when thoughts are made concerning things outwardly perceived or inwardly felt and willed, thoughts which do not themselves originate in what is perceived, felt, and willed. There are people who deny the existence of such thoughts. They believe that no thought is possible that is not extracted from perceptions or from the inner life dependent on the body. For them, all thoughts are to a certain extent mere reflections of perceptions and of inner experiences. This view, however, can be expressed only by those who have never raised themselves to the faculty of experiencing with their souls a self-sustaining life in pure thought. For others, who have lived through this experience, it is a matter of knowledge that wherever thought dominates the life of the soul to the degree that this thought permeates other soul functions, the human being is involved in an activity in whose origin his body has no share. In the ordinary life of the soul, thought is almost always mixed with other functions: perception, feeling, willing and so forth. These other functions are effectuated by the body; yet thought plays into them, and to the degree that is does this a process takes place, in and through the human being, in which his body has no share. This can only be denied so long as the illusion is not discarded which arises from observing thought only when the latter is united with other functions. Yet an inner exertion is possible which will enable the thinking part of inner life to be experienced as distinct from everything else. Something consisting in pure thought alone can be detached from the encompassing soul-life, that is, thoughts that are self-sustaining and from which everything provided by perception or bodily conditioned inner life is excluded. Such thoughts reveal themselves through themselves, through what they are, as spiritual supersensible substance. Anyone uniting himself with them, while excluding all perception, all memory, and every other token of inner life, knows himself to be in a supersensible region and experiences himself outside the physical body. For anyone familiar with this whole process, the question can no longer arise: Can the soul live through experiences outside the body in a supersensible world? For it would mean denying what he knows from experience. The only question for him is: What prevents such a positive fact from being recognized? And the answer he finds to this question is that the fact does not reveal itself unless the student first cultivates a condition of soul which allows him to become the recipient of this revelation. Now, people become at once suspicious when an activity confined entirely to the soul is expected of them, in order that something independent of themselves should reveal itself. They believe that they themselves give the revelation its content because they prepare themselves to receive it. They expect experiences to which they contribute nothing and which allow them to remain quite passive. Should such people, in addition, be ignorant of the simplest scientific requirements for the comprehension of a given fact, they will take for an objective revelation of non-sensible substances contents and productions of the soul in which the soul's conscious participation is reduced below the level maintained in sense-perception and will-impelled action. Such are the soul-contents provided by the experiences and revelations of the visionary and the medium. But what comes to the fore through such revelations is not a supersensible but a sub-sensible world. Human waking life does not run its course completely within the body; the most conscious part of it runs its course on the boundary between the body and the physical outer world; thus the process of perception with the organs of sense is as much an extra-physical process penetrating into the body as a permeation of this process from out the body; so too, is the life of will, which rests upon the insertion of the human being into the cosmic being, so that what occurs in the human being through his will is simultaneously a link in the chain of cosmic occurrence. In this life of the soul running on the boundary of the physical body, the human being is to a high degree dependent on his physical organization; but the function of thought plays into this activity, and in as much as this is the case, the human being makes himself independent of his bodily organization in the functions of sense perception and willing. In the experiences of the visionary and in mediumistic phenomena the human being becomes completely dependent on his body. He excludes from the life of his soul that function which, in perception and willing, makes him independent of his body. Thus the content and productions of his soul are merely revelations of his bodily life. The experiences of the visionary and the phenomena produced by the medium owe their existence to the fact that a person while thus experiencing and producing is, with his soul, less independent of his body than in ordinary perception and willing. In the experience of the supersensible as indicated in this book, the development of soul-life proceeds in just the opposite direction from that taken by the visionary and the medium. The soul acquires a progressively greater independence of the body than is the case in perceiving and willing. The same independence realized in the experience of pure thought is attained by the soul for a far wider range of activity. For the supersensible activity of the soul here meant, it is especially important to grasp and realize in the clearest possible way this experience of life in pure thought. For in the main, this experience is already a supersensible activity of the soul, but one in which nothing supersensible is as yet perceived. With pure thought we live in the supersensible; but we experience only this in supersensible fashion; we do not yet experience anything else supersensibly. And supersensible experience must be a continuation of that life already attained by the soul when united with pure thought. For this reason it is so important to gain knowledge of this union in the right way, for it is from its comprehension that light shines forth to bring correct insight into the nature of supersensible knowledge. The moment the life of the soul links below the level of clear consciousness existing in thought, the soul is on the wrong path as far as true knowledge of the supersensible world is concerned: for the soul is seized by the bodily functions, and what is than experienced is not the revelation of a supersensible world, but bodily revelations confined to the supersensible world. Having penetrated to the sphere of the supersensible, the soul's experiences are of such a nature that descriptive expressions cannot so easily be found for them as for experiences confined to the world of the senses. Care must often be taken not to overlook the fact that to a certain extent, in descriptions of supersensible experience, the distance separating the actual fact from the language used to describe it is greater than in descriptions of physical experience. The reader must be at pains to realize that many an expression is intended as an illustration, merely indicating in a delicate way the reality to which it refers. Thus it is said on page 19 of this book: “Originally all rules and teachings of spiritual science were expressed in a symbolical sign-language.” And on page 82, a “certain writing system” was mentioned. Now, anyone may easily be led to suppose that such a writing system can be learned in the same way we learn the letters of an ordinary physical language, and their combinations. In this connection it must be pointed out that there have been and there still are spiritual scientific signs by means of which supersensible facts are expressed. And anyone initiated into the meaning of these symbols attains thereby the means of directing his inner life toward the supersensible realities in question. But what is of far greater importance for supersensible experiences is that, in the course of that supersensible experience to which the realization of the contents of this book leads, the soul should, in the contemplation of the supersensible, gain the revelation of such a writing through personal experience. The supersensible says something to the soul which the soul must translate into these illustrative signs, so that it can be surveyed with full consciousness. The statement can be made that what is imparted in this book can be realized by every soul. And in the course of this realization, which the soul can personally determine according to the indications given, the resulting events occur as described. Let the reader take this book as a conversation between the author and himself. The statement that the student needs personal instruction should be understood in the sense that this book itself is personal instruction. In earlier times there were reasons for reserving such personal instruction for oral teaching; today we have reached a stage in the evolution of humanity in which spiritual scientific knowledge must become far more widely disseminated than formerly. It must be placed within the reach of everyone to a quite different extend from what was the case in older times. Hence the book replaces the former oral instruction. It is only to a limited extent correct to say that further personal instruction is necessary beyond that contained in this book. No doubt someone may need assistance, and it may be of importance for him or her; but it would be false to believe that there are any cardinal points not mentioned in this book. These can be found by anyone who reads correctly, and, above all, completely. The descriptive instructions given in this book appear at first sight to require the complete alteration of the whole human being. Yet when correctly read it will be found that nothing more is intended than a description of the inner soul state required of anyone in those moments of life at which he confronts the supersensible world. He develops this state of soul as a second being within himself; and the healthy other being pursues its course in the old way. The unfolding trainee knows how to hold the two beings apart in full consciousness and how to make them act and react on each other in the right way. This does not make him useless and incompetent for life, nor does he lose his interest and skill in it and become a spiritual researcher the whole day long. It is of course true that the student's manner of experience in the supersensible world will shed its light over his whole being; but far from distracting him from life, it makes him more capable and his life more productive. The necessity of adopting the existing method of description is due to the fact that every cognitive process directed toward the supersensible calls the whole human being into action; so that in the moment of such cognition the whole human being is engaged, while the supersensible cognitive process engages the whole human being. The whole human being becomes an eye or an ear. For this reason, when information is given concerning the construction of supersensible cognitive processes, it appears as though a transformation of the human being were meant, as if nothing were right in the ordinary human being, and he should become quite different. I should like to add to what was said on pp. 131 et seq. concerning “some results of initiation,” something which, with a slight alteration, can apply to other parts of the book. It may occur to someone to ask whether such figurative descriptions are necessary, and whether it would not be possible to describe these supersensible experiences in ideas, without such illustrations. In reply it must be pointed out that for the experience of supersensible reality it is essential that the human being knew himself as a supersensible being in a supersensible world. Without this vision of his own supersensible nature, whose reality is fully manifest in the descriptions here given of the lotus flowers and the etheric body, the human being's experience of himself in the supersensible world would be like placing him in the sensible world in such a way that the things and processes around him manifested themselves, while he himself had no knowledge of his own body. His perception of his own supersensible form in soul-body and etheric body enables him to stand, conscious of himself, in the supersensible world, just as he is conscious of himself in the physical world through the perception of his physical body.